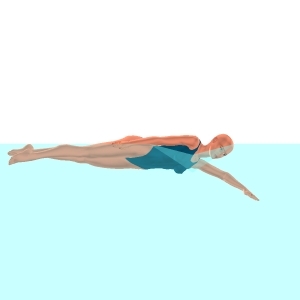 As the breathing side hand passes beneath the head, the swimmer prepares to rotate the head. The head rotates with the push phase of the hand. Exhalation ends as the mouth rises above the surface. As the arm breaks the surface, inhalation begins. 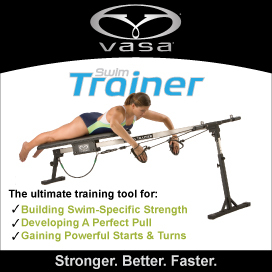 As the arm passes the shoulder on the recovery, inhalation ends and the head rotates to the nonbreathing position. The head rotates until one eye (goggle) is above the surface and the top of the water is in the visual field. The head rotation only needs to be enough to bring the mouth above the surface. The eye that is above the surface can sight a point on the wall directly opposite the head.